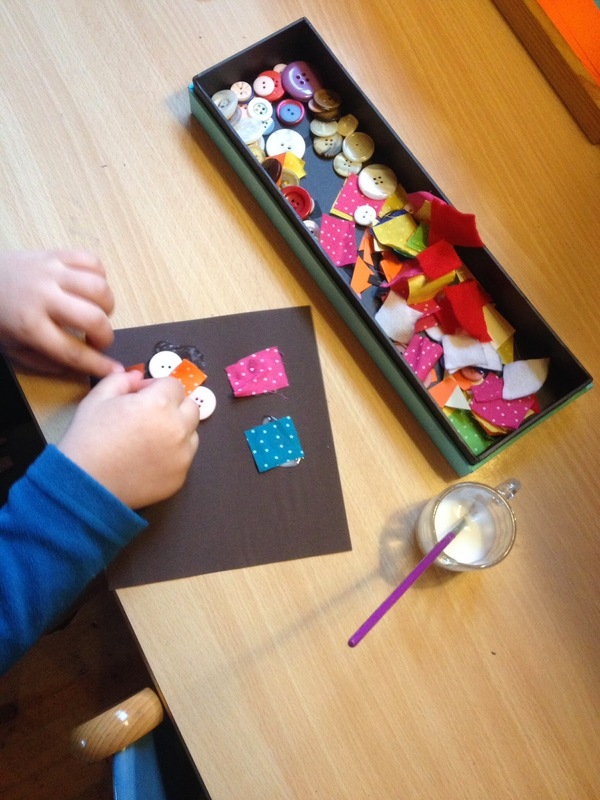 Two years ago, we have introduced the Reggio Emilia approach into our classroom and our curriculum. I didn't really know if it would work.. It has! Don't get me wrong, I am still learning and there are many errors along the way. Things I thought would be a great hit among the children turned out to be an "epic failure" (as my own children would say!). Activities that never really appealed to me became so so popular... It has left me baffled at times. The main thing is not to have any preconceived idea, I guess. Try everything and you will eventually get there. What I can say now, is that you will notice centres of interest. And I assume that these interests will differ or evolve from year to year as new groups of children pass through your door or as children grow older (never a dull moment in teaching!). 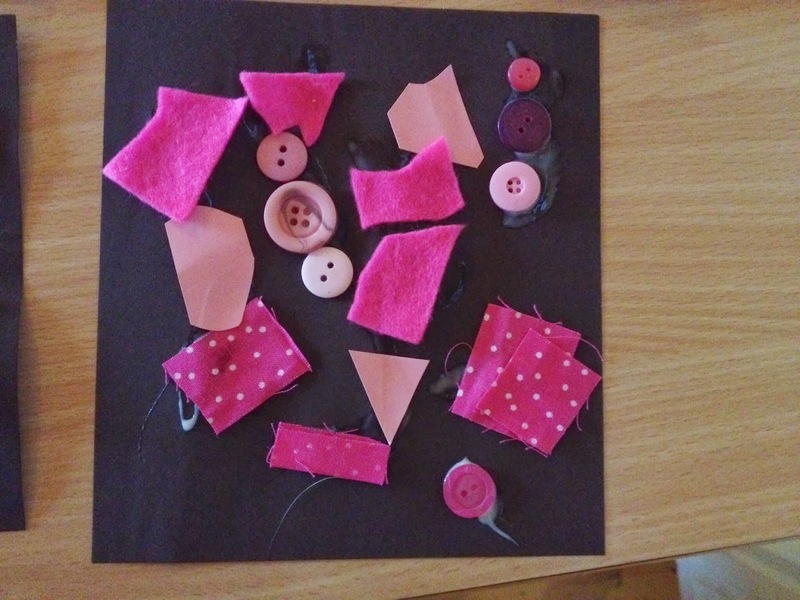 So far, thanks to the Reggio inspired teaching method we are using, two interests have emerged from the children, one being a serious love of glue and the other being an equally intense love for fabric. I took these two interests and planned possibilities and provocations. Children have developed new skills since September and used many different media to communicate their understandings of the world around them, their emotions etc.. As an adult, we may not always get "it". I often see Mams winking at me when their child show them proudly the "blob" they painted earlier on. Mams may ask "what is it honey?". And the child gets frustrated and sighs, explaining what he tried to convey on paper. I taught many parents to comment on the composition of the painting or the colours used when they are not sure what it is representing. The child usually automatically forwards a clue of what it is but his feelings have been saved and he/ she feels valued by the praise they received. Children are quite good at using many "languages" to express themselves. The possibilities for dialogue are endless then, as long as we (teachers and parents) provide them with appropriate tools and means. 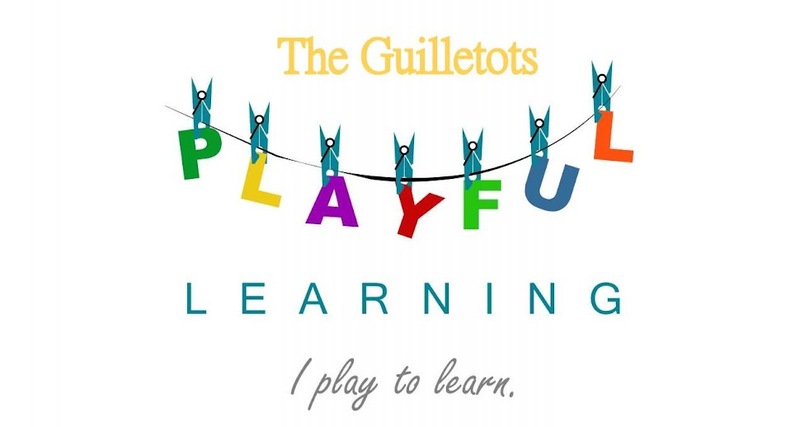 And I believe that it is my privilege as an early years teacher to support the children who come through my door in discovering, appreciating and mastering the different "languages" available to express themselves and convey their ideas. 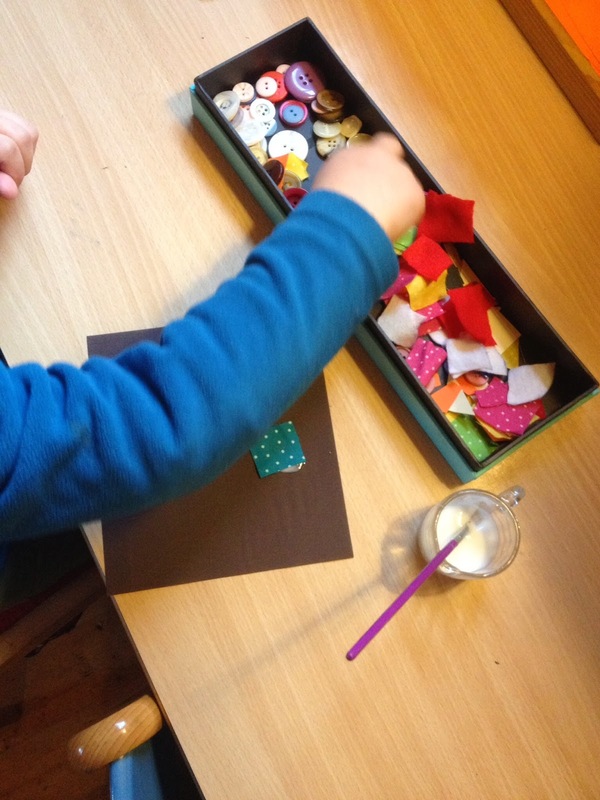 As I said before before, kids have shown such a strong attraction to fabric, either when they played in the corner area or the small world corner, or when they used the Montessori sensorial fabric box. And of course, they ADORE using glue.. "Can I glue this? Can I glue that? Where is the glue? "... 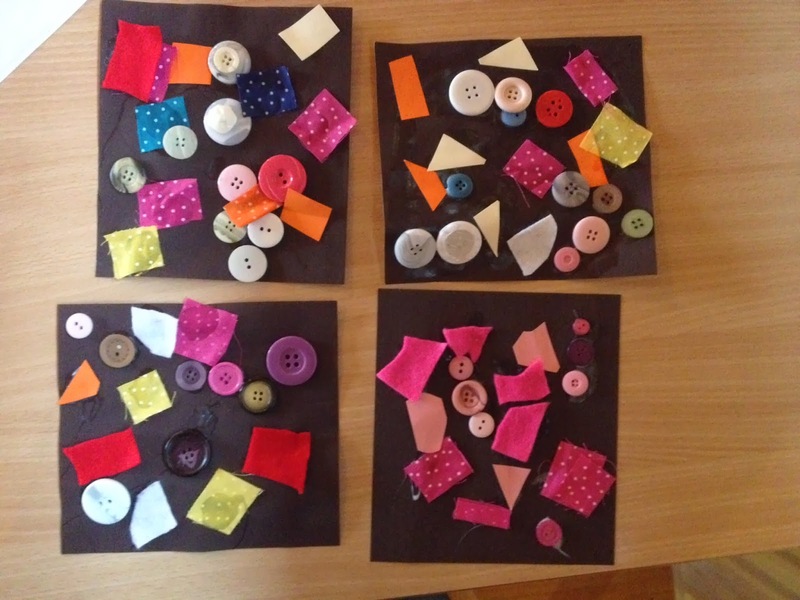 So I wanted the children to really know the qualities and possibilities when both fabric and glue were mixed together. 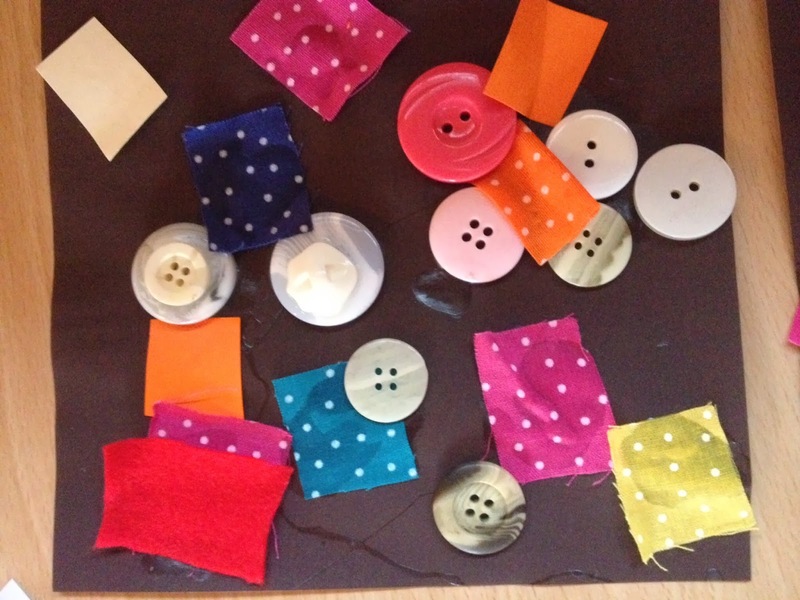 And why not add other popular items such as buttons and colourful paper to add another sensorial dimension to the exploration ? What a great provocation.. 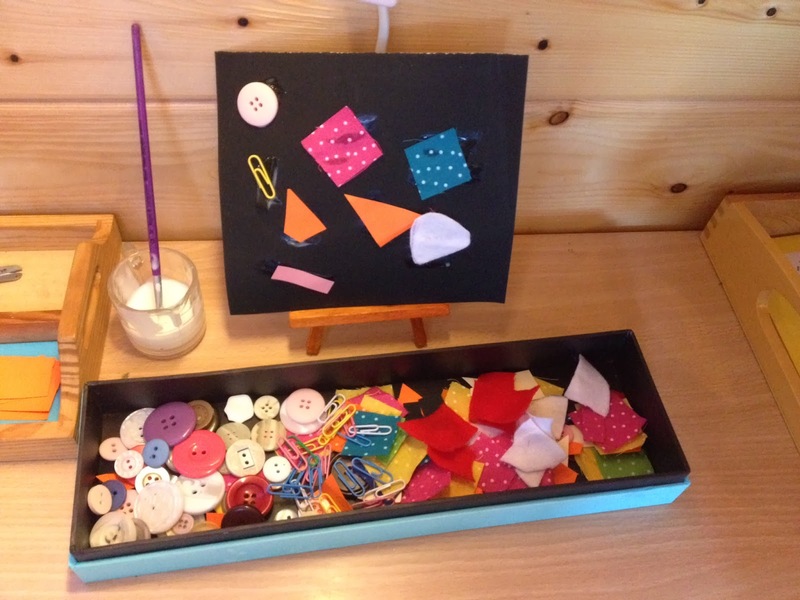 I made my own sample and displayed it on a little wooden easel in our writing and art corner. I left a pot of glue beside it and a box containing the buttons, paper and fabric. As expected , the children were automatically attracted to the table, and asked if they could make "one" too... I didn't give them any instructions and they followed their own thinking and ideas.. They all had something to say about what they were doing though, explaining their little friends who were watching what they were doing and why.. "I am only using the same colour all the time.... I don't want to use the buttons because they are hard and I only want to use soft things like my bed, because I love my bed, you know?... I am making a picture for my mam to tell her I love her.." The dialogue was so profuse.... I loved listening to them!! Job well done. I gave myself a pat on the shoulder !! a tea party with table cloths and cupcakes .. see? ?